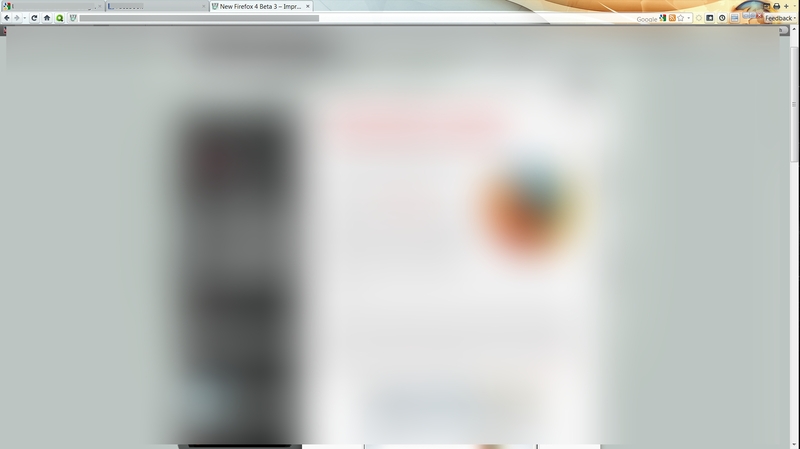 New Firefox 4 Beta 3 – Impressive! I was reluctant to try out this beta but I have to say that aside for some minor issues (which are to be expected considering it is a beta) this browser really has amazing potential. I ran a couple of tests via Web Developers Notes and I have to say that I’m definitely impressed with how fast it is, even compared to the newly released Firefox 3.6.8! I’ve definitely noticed an increase in speed and I do enjoy the new streamlined look, though it is definitely somewhat of a Chrome clone. I’m definitely excited to try this browser out and hope that when it is is finally completed there will be support for some of the plugins that currently don’t work. This isn’t much of an issue though, since many of the browser’s new features do the job of many of the plugins that aren’t functional including an easy to use password manager. For those who are having issues with the missing exit, minimize and maximize buttons on the top right of the browser window (and also missing UltraMon buttons if you so happen to be running that program) because of Personas you can always get around that by full-screening the browser and using it in that mode, or by either clicking on Firefox on the task bar to minimize or right click for other option. I usually alt+tab to the Desktop or other windows when I need to and rarely minimize so this isn’t really an issue for me. If you want to try it out, you can download it from their website here and submit feedback on your experience so that they can fix any problems you may encounter. Also, you can try playing with this very entertaining game called Falling Sand which runs a lot smoother in this version than it did in Firefox 3.5. Update: I’ve noticed a lot of people have been visiting my page to find out about the Greasefire add-on in regards to this beta and just so you all know, there is no Greasefire yet compatible with this beta. Again, this is just a test version of what will one day be a final product so the add-on developers will probably not be making an updated version until Firefox 4 is complete. 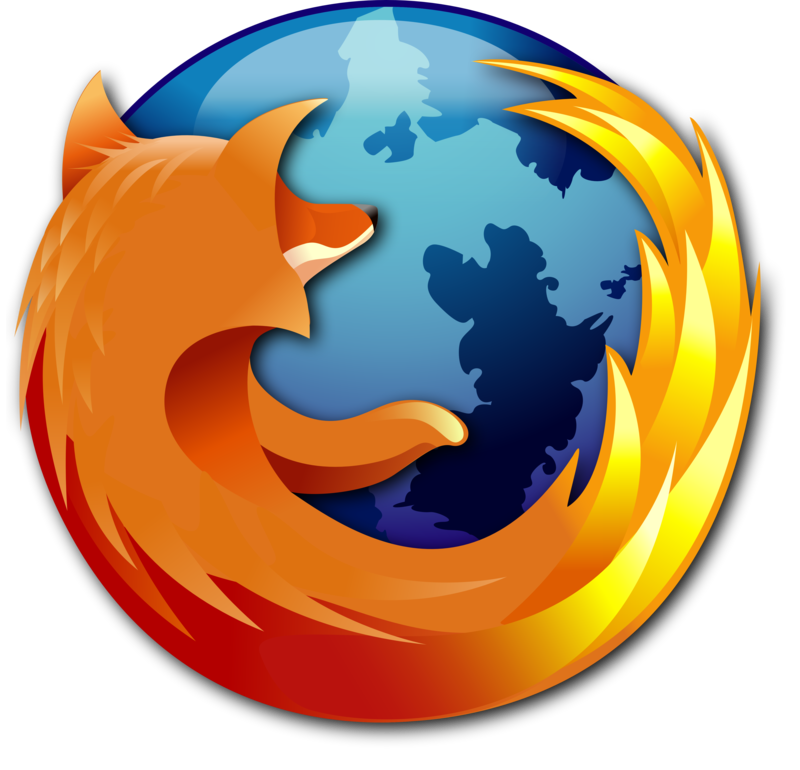 There are though some add-ons that do indeed work and can be found at the Firefox website. I wouldn’t be worried about those just yet though. Right now the purpose of using the beta is to test it out and report any issues you may have with the browser. Updating the add-ons are the responsibility of the add-on developers, not Firefox. 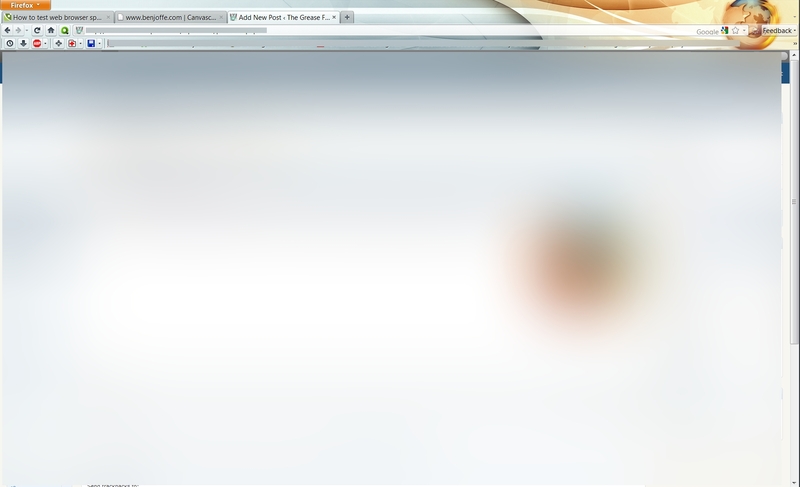 Using Firefox in full-screen showing that close, minimize and maximize buttons appear. Firefox 4 before installing compatible add-ons. Review: Calypso Kiwi Lemonade, Throwback Pepsi and Mountain Dew, Xing Green Tea with Mango.